Religiously-affiliated Americans show far higher proclivity to supporting Israel over the Palestinians - but why? Gallup polls show that church-going Americans are significantly more likely than other Americans to be sympathetic to Israel, as opposed to the Palestinian Authority. The polling company has released aggregate results of polls taken over the past 14 years. They indicate that that over this time-span, an average of 66% of Americans who attend church weekly or almost every week are sympathetic to the Israelis. This, as compared with 13% who are sympathetic to the Arab side. 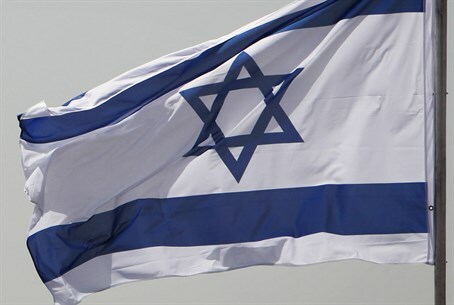 Sympathy for Israel drops to 46% among those who never attend church, still twice as much as the 23% sympathetic to the PA.
More than 14,000 adults have been interviewed each February over the past 14 years as part of Gallup's Foreign Affairs survey. Overall, an average of 59% of Americans have been sympathetic to the Israelis and 16% sympathetic to the Palestinians, with the rest saying "both" or not having an opinion. Gallup suggests that many explanations for the relationship between religiousness and support for Israel focus on the centrality of the saga of the Israelites in the Old Testament, and G-d's promises to Israel's ancient prophets of a promised land for them. Gallup does not mention, though, an apparently and hopefully more likely explanation: Religious faith and ethics often go hand-in-hand; Arab terrorism does not receive good grades in the "morals" sphere, in contrast with Israel's significant "purity of arms" ethos in the manner it wages war in particular and its political struggle in general. Among religious groupings, sympathy for Israelis among U.S. Jews stands at 93%, compared with 79% of Mormons interviewed across the 14-year time span. Protestant support for Israel is 66%, and 59% among Catholics. Even among those who said they had no formal religious identity, 45% express more sympathy for Israelis and 25% for the Palestinian Arabs. The Gallup poll also checked political party identification, finding that Republicans are much more sympathetic to the Israelis than are Democrats. In parallel, it was found that Republicans attend religious services more frequently than Democrats. As many as 80% of weekly church-attending Republicans are more sympathetic toward Israeli, dropping somewhat to 65% among Republicans who never attend church.